EXAM was an experiment designed to search for cosmic rays of extragalactic origin which are made of antimatter. The EXAM technique to identify antinuclei was on that time unique being based on higher order corrections to electronic stopping power of charged particles, and on the response characteristics of CR-39 track-etch detectors, plastic scintillators, and Cherenkov radiators. The EXAM technique (fox extragalactic antimatter) which was claimed to be capable in principle of directly identifying heavy antinuclei in the cosmic radiation was a unusual technique in that it did not require a magnet or calorimeter, but relied on details of energy loss processes of relativistic charged particles in matter and the response characteristics of various types of particle detectors. The top detector consisted of 180 stacks of the track-etch detector known as CR-39. The stacks were arranged in a 9 x 20 pattern. Each stack held six sheets of CR-39 for a total of 1080 sheets. The total area covered was 4.18 m2. The stacks were mounted on a 1.05 cm thick aluminum honeycomb panel. A second layer of CR-39 stacks was located below the Cherenkov light integration box with similar mounting and construction to that of the top CR-39 array. Under the top CR-39 array was SI, consisting of two adjacent slabs, S1-A and S1-B, of 2.54 cm thick Bicron BC-412 scintillator. The left and right sides of each detector segment were coupled to six RCA 4900 photomultiplier tubes (PMTS), which had 7.62 cm diameter photocathodes, and which were enclosed in magnetic shields. Directly below S2 was the Bicron BC-480 Cherenkov radiator, consisting of three slabs, CKL-A, CKL-B, and CKL-C. Each side of each slab was coupled to four magnetically shielded RCA 4900 PMTS via adiabatic light pipes. The drift tube system provided active tracking data to be used to match events identified with the electronic detectors with those in the CR-39 detectors. Originally, the instrument contained 384 tubes of two types: long and short. They were built with internal gas passages to provide a series gas flow system for each module of 16 tubes. The gas plumbing was configured to provide two independent series systems for the 384 tubes. An on-board LSI 11/23 microprocessor controlled data acquisition, and sent data asynchronously in sequences to a custom built pulse code modulation (PCM) encoder and then sent in bi-phase to two on-board transmitters, from which they were sent to Earth at 64 kbit/s, where they were received by the ground support station. 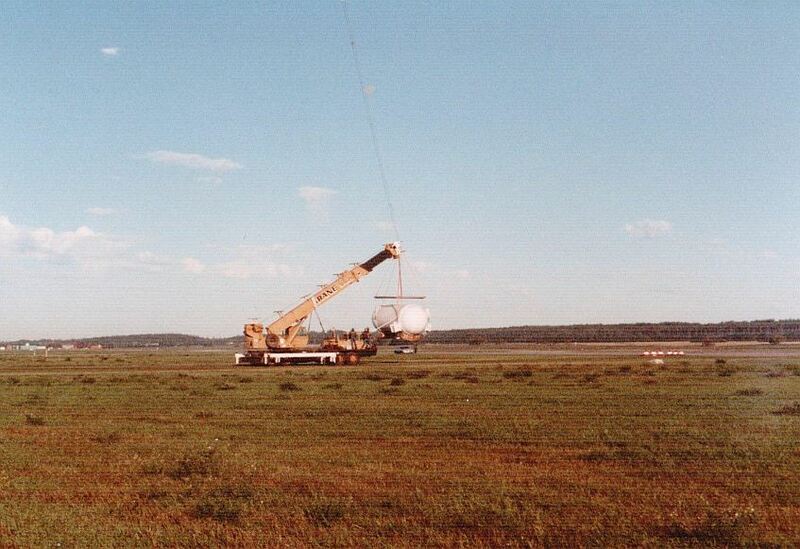 During flight, the ground support system was used to monitor the performance of the detectors, which allowed the scientific team us to make appropriate modifications to several parameters in EXAM with a set of up-link commands. All the instrument subsystems were powered by lithium batteries with a total power dissipated of 870W. The instrument frame was designed to slide along rails from an external support cart onto rails inside of the elongated EXAM gondola. Preparation of the instrument was done on the external cart, which was surrounded by a large black tent to minimize light leaks. The gondola shells consisted of three parts: two hemispherical spun aluminum end-caps and an aluminum cylindrical mid-section. All wall thicknesses were about 2 mm. The diameter of all three elements was 244 cm. The length of the assembled shell was 720 cm. The entire surface of the gondola was covered with 2.54 cm of white Ethafoam. The experiment's internal gaseous environment consisted of normal air at slightly elevated pressure to check for leaks. Exhaust gas from the drift tube system was dumped to the interior of the gondola. 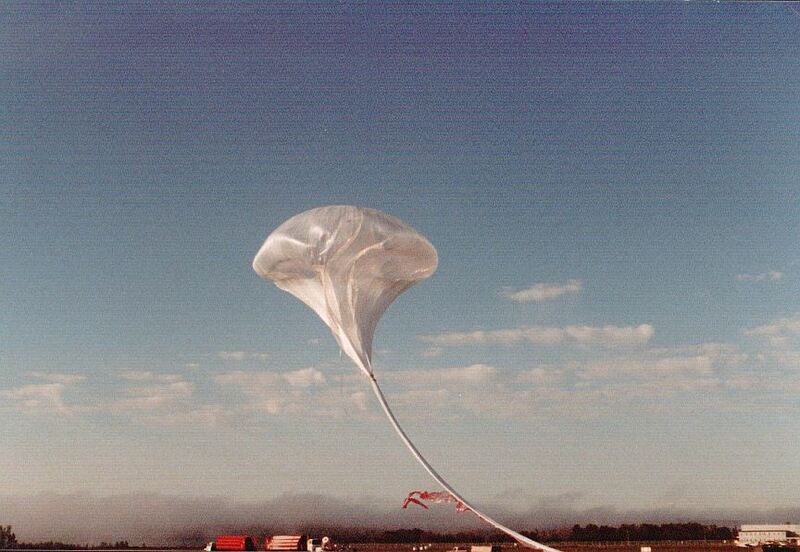 The balloon was launched by dynamic method on 4 September 1988, at 8:00 AM local time. After an initial ascent phase it achieved an altitude of 36.0 km at 11:00 AM. 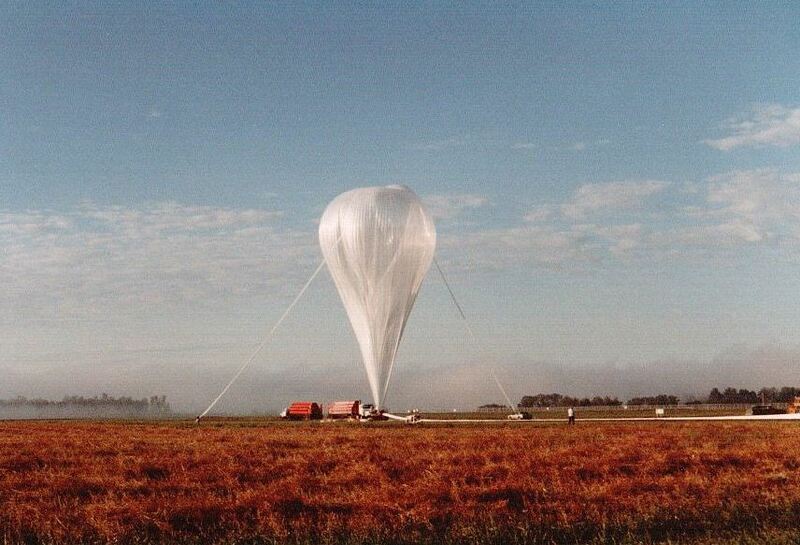 It remained at that float altitude until 16:00 PM, at which time the flight was terminated to prevent the balloon from being swept by strong westerly winds into a wild and remote area for which recovery would have been difficult if not impossible. As such the flight was terminated well short of the 20 h requested, and of the time anticipated in the original proposal (which claimed an antimatter limit approaching 10-6 for several 40 h flights). Furthermore, about half the short flight was devoted to acquiring particles with small charge for calibration purposes and to tuning high voltages, so the time available for collecting the iron group nuclei which are most sensitive to the higher order corrections required for the antimatter search was only about 2.5 h. Nevertheless we acquired sufficient data for a realistic evaluation of the technique, even though we do not have enough data to be able to surpass the current world record of 1.4 X 10-4 for the limit on antinuclei with atomic number greater than nine. During the flight, approximately 600 000 events were acquired. In the paper cited bellow were presented results which were from the point of view of the scientists involved in the project very encouraging of that the resolution of the data obtained was good enough to enable them to complete the search for antimatter at a sensitivity of about one part in 10000.